The 8th annual Multi-GNSS Asia (MGA) Conference will take place November 14-16, 2016, at Sofitel Philippine Plaza, in Manila (Metro Manila), Philippines. This year’s conference theme will be “Providing the Solutions using Multi-GNSS and Other Space Technology Applications in the Asia-Pacific Region” thereby broadening beyond GNSS to include related technologies and applications based on remote sensing and Big Data Analytics relevant for countries in Asia and Oceania. The conference will be held in conjunction with the APRSAF-23 to highlight new solutions afforded by cooperation in industry, academia and governmental institutions. Industrial sessions with experts from European and Asian countries will introduce new products and services with the aim of creating business opportunities for participants. Technical trends in Multi-GNSS, potential GNSS applications in the region, activity reports from MGA participants, progress reports on joint experiments and MGA future activities will be also presented. 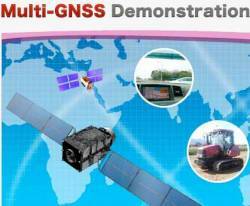 Multi GNSS Asia (MGA) is an international organization aimed at promoting and support activities of the “Asia Oceania Multi-GNSS Demonstration Campaign” under the United Nation International Committee on GNSS (UN-ICG).